Wacker is premiering the flexible dispersible polymer powder Vinnapas 4240 N at the Paint Istanbul show, which opened in Istanbul, Turkey, today (March 22). The product offers an exceptionally good balance between flexibility and tensile adhesive strength, the company said. 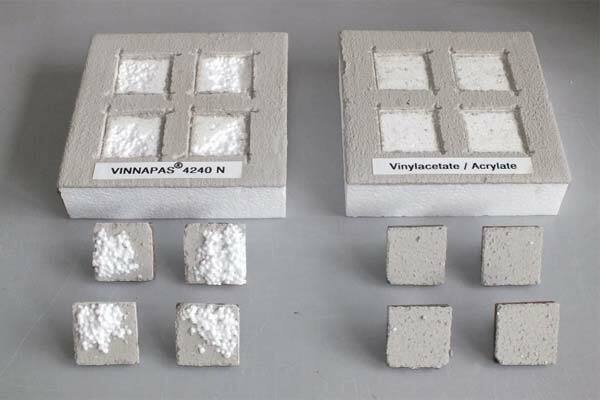 The powder, which is based on vinyl acetate-ethylene (VAE), is extremely well suited to various wall applications such as adhesive and embedding mortar in external thermal insulation composite systems or finishing plasters, it said. Paint Istanbul runs from March 22 to 24 in the Istanbul Expo Center. At Paint Istanbul and for the first time in the region, Wacker is also showcasing Primis SAF 9000/9001, Silres BS 710, and Silres BS 6920 from its portfolio for various easy-to-clean applications. Wacker is expanding its portfolio of dispersible polymer powders to include Vinnapas 4240 N. The high proportion of ethylene in the polymer chain means that Vinnapas 4240 N has a low glass transition temperature. It, therefore, displays good crack-bridging properties and improves the flexibility of mineral mortars, which provides excellent compensation for tensions that occur as a result of temperature fluctuations, weathering, shrinkage of construction materials, or vibrations. The flexible dispersible polymer powder also features particularly good resistance towards severe impacts, which plays a major role for embedding mortars in external thermal insulation composite systems as well as finishing plasters. In addition, Vinnapas 4240 N enhances the cohesion of the end product, thereby improving adhesion to inorganic and organic surfaces. Consequently, an extremely strong adhesive bond can be formed between EPS panels and masonry, for example, in adhesive and embedding mortars in external thermal insulation composite systems.